You may have missed many refunds on shopping if you have not used Paribus so far. It’s one of the most famous money saving app that helps people to get benefits on the price change. Paribus brings money back to your pocket if there is any price drop happen after your shopping. It’s frustrating when you buy anything and suddenly you notice a huge price drop. Paribus can be your money saver at that time. Paribus will help you to get extra paid money back to you. They even help people to receive compensation on delay in shipping. Read my reviews and find the best ways to use Paribus. Paribus is 100% legit company. They have saved over $29 Million for their users to date. Paribus has been acquired by Capital One in 2016 – One of the biggest financial institution. The company will continuously help you to get refunds from your shopping with no efforts from your side. They act as a middleman between you and retailers. Paribus also got B+ rating from BBB. You can trust Paribus and take benefits from it. And Yes, it’s free to join. 💰 Sign Up For Paribus And Check If Stores Owe You A Refunds. Yes! I Want Auto Refunds From My Shopping. How To Get Started With Paribus? Paribus is completely user-friendly. You can sign up using a web browser or IOS iPhone. They are working on Android. I will update as soon as I receive an update on the Android app. I have checked Paribus on my phone web browser (Chrome) to see how the website works. I did not find any challenge to access Paribus website. You can download the app or use the web browser. It’s up to you, both works fine. They will ask for an email address to sign up. Make sure that you provide the email address which you use for shopping. You will also be asked to add your bank account. It will hardly take two minutes of your time to complete the signup process. I took almost 2 minutes to get it done. You may be eligible for refunds, but don’t know which product to claim for. In this case, Paribus find refunds on behalf of you. Once you join Paribus, they will check your invoices and get you the list of refunds that you are eligible for. Paribus will itself contact the store and bring your money back. Having such a great option I would say you should try and check whether it’s working for you or not. See what press related news about Paribus. Paribus could be the time & money saver for you. It’s better keeping things on your phone that can benefit you and your pocket. 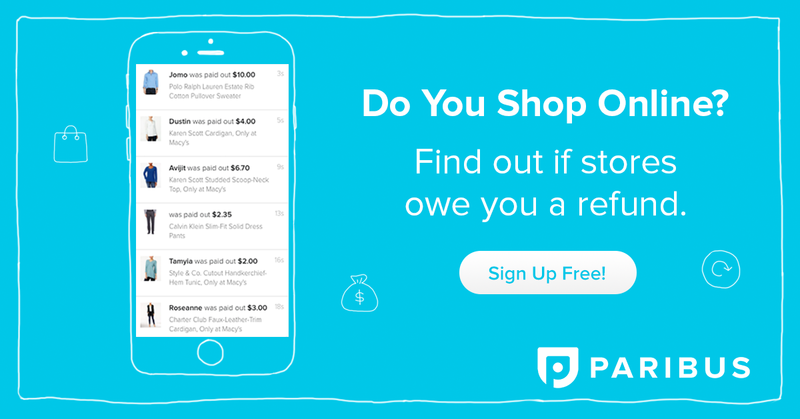 Find out if stores owe you a refund – Sign up for Paribus for free! How Paribus Automatically Bring Refunds? Once you complete the signup process, Paribus will check for receipts in your email which you use for shopping. As soon as they find any price mismatch or late delivery, the refund request will be made automatically to the retailers. But First, Paribus will check whether you are qualified for the refund or not. You will not need to put your effort into reading policies or terms and conditions. Paribus will do everything for you. There is no guarantee that you will receive a refund every time. It’s in the hand of retailers. The store will only initiate your refund amount if you qualify according to their refund/compensation policy. As soon as your claim for refund gets approved, you will receive the money within 3 to 7 business days into your account. The money will get transferred to your actual account from where you made payment. It can be your debit/credit card or gift card/voucher. This question comes quite often as it relates to security. First of all, Paribus is Owned by one of the highly trusted financial company which is Capital One. They take responsibility for securing your data. They even don’t sell data to third parties. Paribus has implemented a multilevel security mechanism including VPN Services, Firewalls, stringent access controls, and intrusion prevention system on all the information. 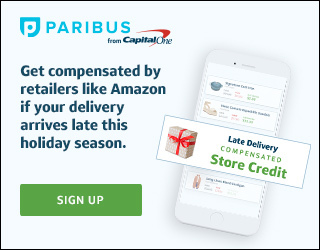 Does Paribus Work With Amazon Also? The refund policy is a little different for Amazon customers. Amazon does not have a price protection policy, which means they do not pay on a price drop, but they allow users to claim for delay in shipping. Let Paribus try its hand and get as much refund as possible from Amazon. You can still claim for refunds with other well-known stores like Walmart, Macy’s, Kohl’s, Zappos, Costco, Wayfair, Best Buy, Newegg and lot more. See Paribus policy guides. Is Paribus Available In My Country? Currently, Paribus is available in the United States and Puerto Rico. Paribus never does scam activities. It’s truly a legit company who brings real refunds and compensation for their app users. It’s obvious that this question may come to your mind as you feel like why a company helping people to get a refund without any user effort. Though they do ask for you to grant access to your emails(only read purchase emails) and bank account. This is because they work on behalf of you. Paribus also maintain high-level security to protect information. Can I trust Paribus? Yes, you can. It’s reliable and safe company to get help with. You can join Paribus for free. They will not charge you a single penny to get signed up. So, how Paribus make money? Paribus will charge you only when there is any refund get approved. The cut 20% from refund money. This seems fair if you see how much effort it requires to get refund amount to your account. Plus, you are receiving refunds that you don’t even know that you are eligible for. Ebates – Get up to 40% cashback on your shopping. They provide real cash, not points. Get $10 Sign up Bonus and $25+ on referrals(check Ebates on how to get bonus and referral income). Read full Ebates review. Digit – No need to worry about debts or money-saving problems. Digit will help you to save money, pay off debts & bills. Paribus monitors well-known brands to make sure the user should not find challenges in receiving refunds. Currently, Paribus has a connection with 30 big brands that the majority of people choose to shop. It’s up to you. You can download the app(Only IOS iPhone) to get faster access, but using Paribus on web browser also works fine. It’s simple and mobile friendly. Right now they have not launched the App for Android. I will update the article as soon as I see the Android version of Paribus. If you have a little space in your iPhone, then you should try Paribus app and start taking benefits in simple clicks. See news release on Paribus. There are several pros & cons that you must check before you sign up with Paribus. Initiate refund request automatically on behalf of you. No need to invest your time. Paribus handles everything. Collect refunds from top brands and stores such as Walmart, Amazon(only for the delay in shipping), Macy’s and many more. Easy to sign up and start the refund process. Help you to save hundreds of dollars. It’s free to join – Sign up here. Paribus App is not available for Android user, but they can use a web browser. They cut 25% from the refund amount. I personally like the concept of saving money through Paribus. Anyone who really wants to save money, they must use Paribus. Paribus does all the work without your intervention. Overall, it’s a great app to use. Let Paribus do its work. They will notify you as soon as they detect any chances of refunds. You can save hundreds of dollars. You don’t know your past shopping list may qualify for refunds. Sign up for Paribus and check whether there is any refund available for you.